Cathedral ceiling enhances the open & spacious feel of this beautiful, welcoming one bedroom plus a loft (can be a multi-purpose office/hobby room/guest room) w/ 2-yr new central a/c & a gas fireplace. Kitchen remodeling features recessed lighting, travertine tile floor, granite countertops, tile backsplash, wood pantry w/ drawers, cabinets w/ pull-out organizers, garbage disposal, & stainless steel energy-efficient electric range/oven, microwave, dishwasher, refrigerator/freezer w/ water/ice dispensers. Cathedral ceiling enhances the open & spacious feel of this beautiful, welcoming one bedroom plus a loft (can be a multi-purpose office/hobby room/guest room) w/ 2-yr new central a/c & a gas fireplace. Kitchen remodeling features recessed lighting, travertine tile floor, granite countertops, tile backsplash, wood pantry w/ drawers, cabinets w/ pull-out organizers, garbage disposal, & stainless steel energy-efficient electric range/oven, microwave, dishwasher, refrigerator/freezer w/ water/ice dispensers. Laundry area at the end of the kitchen features newer cabinets & ventless combo washer/dryer. Bathroom remodeling features travertine tile floor, granite countertops, tile tub surround, glass tub sliding door, wood cabinets & linen pantry w/ drawers. Master bedroom has cathedral ceiling & mirrored closet. Hallway connecting the bedroom & bathroom is lined w/ a mirrored closet. Extra storage under the stairs to loft. Balcony w/ greenbelt/pool view & 2 storage cabinets can be accessed from the LR & BR. This secured-entry, 3-story building has indoor mailboxes in entrance lobby, elevator, an assigned parking spot w/ storage unit space in security-gated subterranean garage. Association dues also pay for water/gas/trash pickup. Association amenities include pools, spas, tennis courts, basketball court, clubhouse, gym. 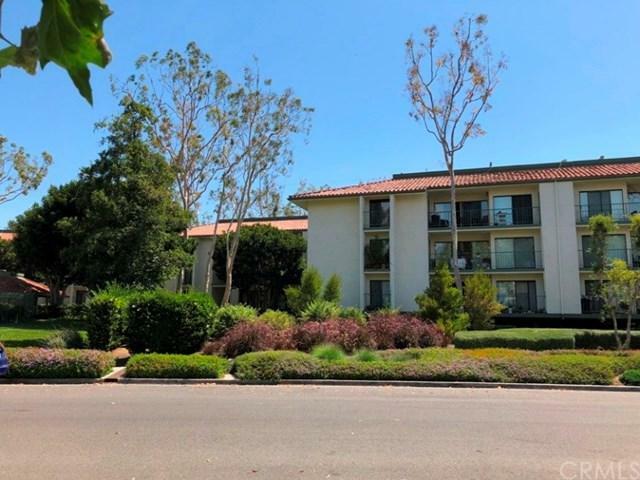 Located close to Irvine Valley College, golf course, Irvine Spectrum, shopping centers, post office, 5 & 405 Fwys.